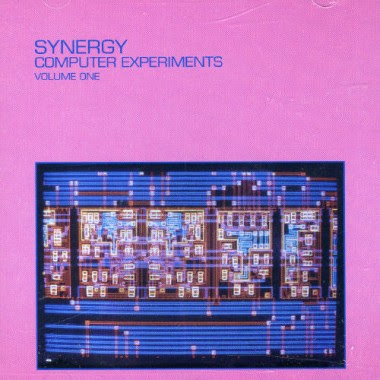 This was composed using a device from PAIA hooked up to a Sequential Circuits Prophet 5 hence "computer experiments"
"....computer self-composing program, Pink Tunes, conceived by John Simonton (PAIA Electronics). This program is an application of the stochastic principle, that is of controlled randomness, to electronic music. The composer sets out all the basic composing rules (musical notes, time duration etc), but the result is a random creation, through the changes and decisions made by the computer program among all the possible combinations. The synthesizer was a Prophet V."